Blog - Final Silver ATB Release Of The Year. Pre-Sale Begins Today! The final silver America The Beautiful design of 2017 is now available for pre-sale! The U.S. Mint releases five ATB coins every year, and the new George Rogers Clark Indiana silver ATB is likely to be just as popular as other 2017 ATB releases. Unique to 2017 ATB coins, multiple releases sold out even before they were released. The ATB coins minted in 2017 have some of the lowest mintages in the history of the now seven year-old series. The trend continues with the George Rogers Clark ATB. Only 20,000 coins are expected to be minted. Due to the limited availability of 2017 ATB coins, premiums are already climbing. Even coins released as recently as this summer are seeing significant premium appreciation! The 2017 Frederick Douglass ATB (released in May) and the 2017 Ozark Riverways ATB (released in July) were introduced with relatively low premiums, roughly $2 to $4 per oz over spot. Now, the Frederick Douglass is trading for over $150 per coin and the Ozark Riverways is trading for over $140 per coin with many dealers. This type of premium appreciation has become a hallmark of this series. 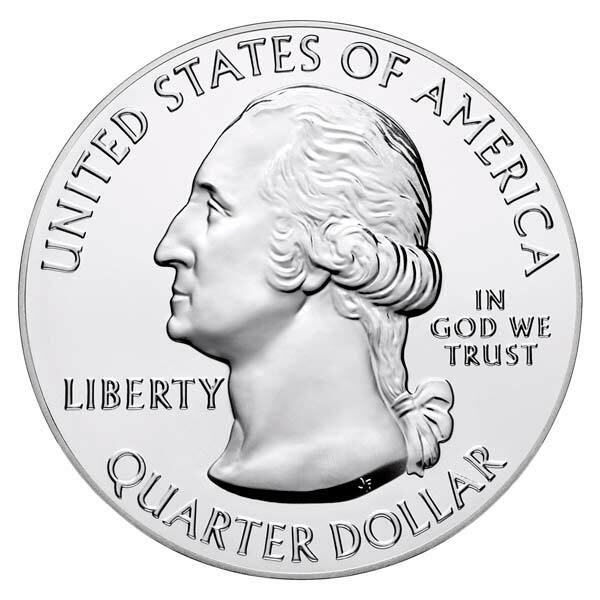 The most important takeaway whether you are a collector or investor, is that premiums on these coins are always at their lowest when they are first introduced. If you are looking for an opportunity in silver, this may be it. 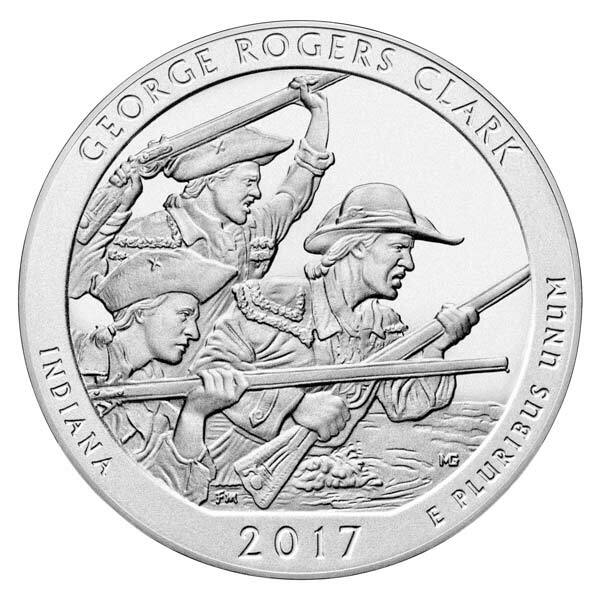 Monument Metals is proud to introduce the 2017 George Rogers Clark ATB for pre-sale! We are proud to also offer a FREE Z5 Air-Tite Capsule with each individual coin ordered. Orders in multiples of ten come in an originally sealed U.S. Mint tubes with no capsules. This capsule is a perfect-fit and is the best way to preserve your coin for the long-term. Reserve your 2017 George Rogers Clark ATB with FREE Z5 Air-Tite Capsule today while premiums are likely at their lowest.